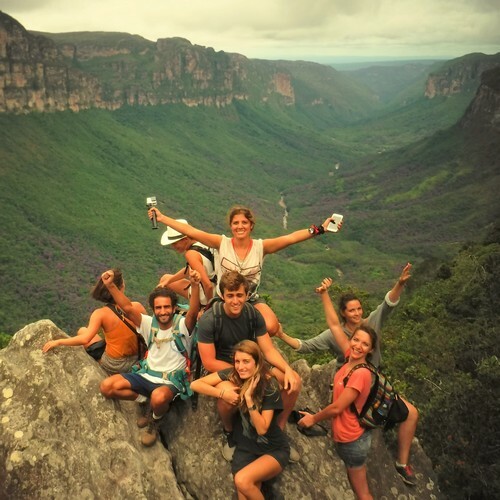 Ready to discover the amazing Chapada Diamantina with us? Want to admire blue caves, jaw-dropping waterfalls and breathtaking views on table mountains? 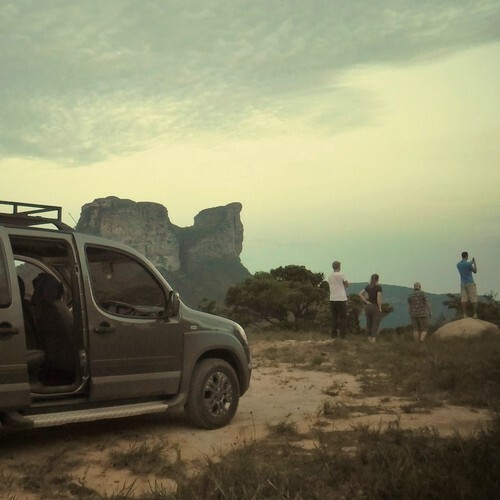 For visiting the most incredible places, we offer you a car with a guide. 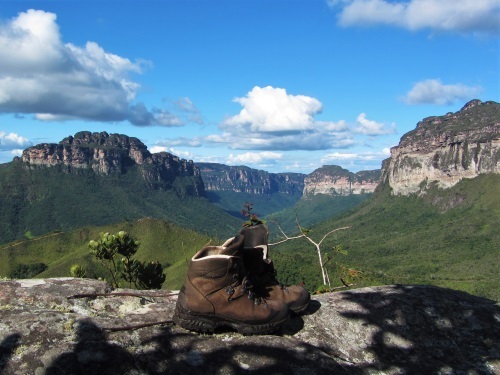 Ready for a full-on trekking experience in the mountains of Chapada Diamantina? 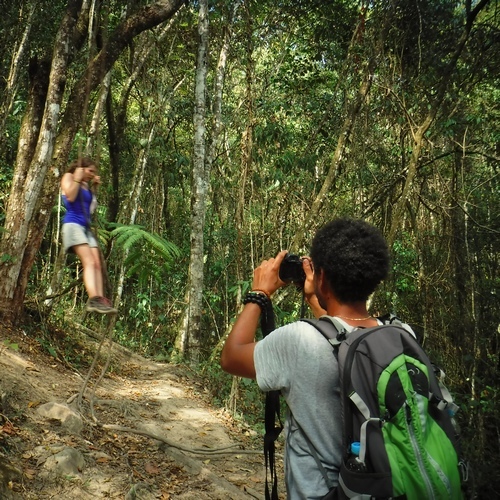 Hold on to your hat and our trusted local guides will take care of the rest! We help to find the best fit for you. 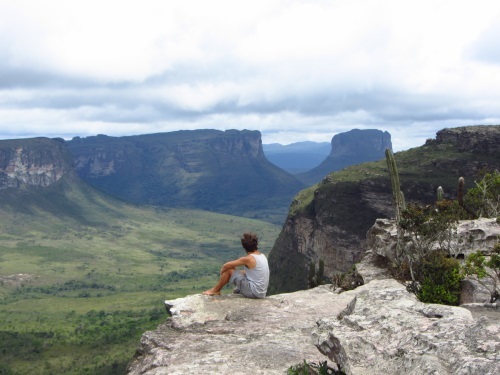 Diamantina Mountains is your perfect local travel guide in the Chapada Diamantina, Brazil. We specialize in planning awesome multiple day trekkings & mountain hiking tours. While on the trip our experienced guides provide you with the excellent level of services and also assist you to find the best accommodation in Lençóis. 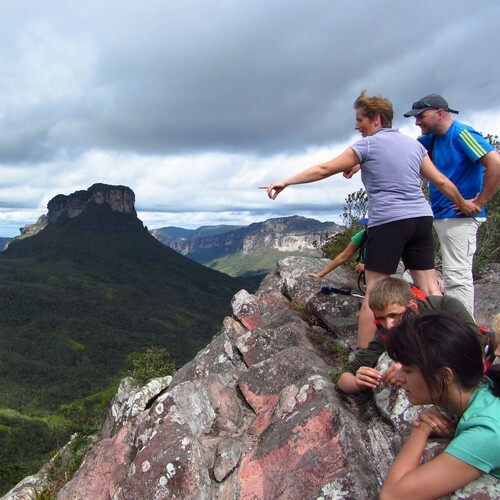 Just browse through our website to know what more Diamantina Mountains has to offer. Solo traveler or couple? We try to put all the travel dates together to form groups Bigger group or family? We make a special program for you. Best way for solo travelers or couples with flexible dates. Book at the lowest prices. We put you on a list and we do our best to form groups so everybody has the best price. We give you a special price if you find other people to join you. Book your activities with specific dates and we try to look for more people to join. You guarantee your preferred tours and program. When other travelers join, your final price will be reduced. An interesting option for couples with fixed dates. Book your personal guide. For couples the extra cost we charge depends on each tour. For families of 4 members or more we don’t have an extra charge. You can change some parts of your program during your stay. "We appreciated the way in which everything was organised (lunchboxes) and carried out out with care"
"The end to end organization from the company made the whole process smooth and easy, with all questions answered quickly and helpfully"
"Very helpful, encouraging and patient guide, providing us with surprisingly great lunches. Hope to make it once more to this lovely place." "The organization and booking of a 2 days trip by Louise & Peter were done very professional and trustful several weeks before. " "Wir würden uns immer wieder für Saulo und Dudu als Guides entscheiden weil sie unseren Trekking Ausflug wirklich perfekt gemacht haben." "Nous avons dans un premier temps organisé notre séjour avec Louise, qui a été formidable, disponible et facilité notre arrivée à Lençois. Toujours à l'écoute, elle nous a merveilleusement bien conseillée."